What is the importance of carbon dioxide in the atmosphere? Carbon dioxide gas produces green-house effect, leading to the heating of earth and its atmosphere, which is essential for our survival. Carbon dioxide takes part in the photosynthesis process carried out by green plants to prepare food for plants and animals. 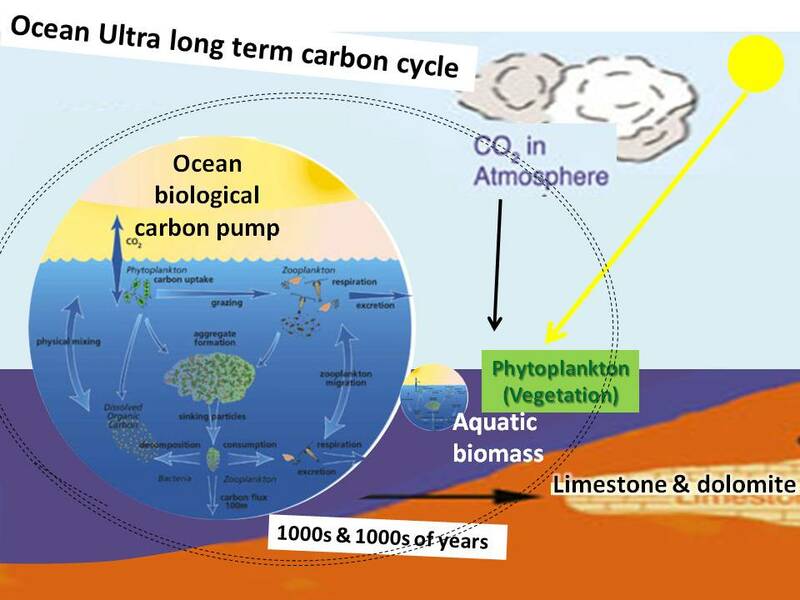 Carbon dioxide dissolves in oceans to form carbonate works. The carbon dioxide gas given to the atmosphere through volcanoes comes from the interior of the earth. The major consumers of carbon dioxide gas from the atmosphere are green plants and oceans. The green plants use carbon dioxide gas to prepare their food through the process of photosynthesis whereas oceans dissolve the carbon dioxide continuously exchange carbon dioxide with rocks, plants and higher organisms. Carbon dioxide in the atmosphere does not absorb the incoming visible radiation coming from the sun. It blocks the outgoing infra-red radiation radiated by earth. By absorbing infra-red, the atmosphere gets heated. The heated atmosphere keeps the earth warm. So the carbon dioxide in atmosphere is important to keep earth warm. This is known as greenhouse effect.